Attention Business Owners! Looking for a solution on how to grow your small business in 2017? The SBA may have the answer. 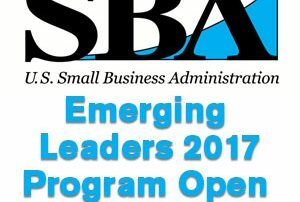 Recruitment for the SBA’s Emerging Leaders 2017 training cycle is now underway. Since 2008, Emerging Leaders has trained more than 4,000 promising small business owners in underserved communities, and continues its impact in helping small business owners grow and create jobs. Find out what Emerging Leaders can do for you!